Whether you’ve driven a premium mid-size sedan like the Toyota Avalon before, or you’re looking to move up a class from a compact car, or you just want a smooth and stylish ride, the 2016 Toyota Avalon in Brampton ON should have you excited. What the Toyota Avalon is known for, and what the 2016 model continues, is a high-performing engine merged with a spacious interior and an elegant exterior. 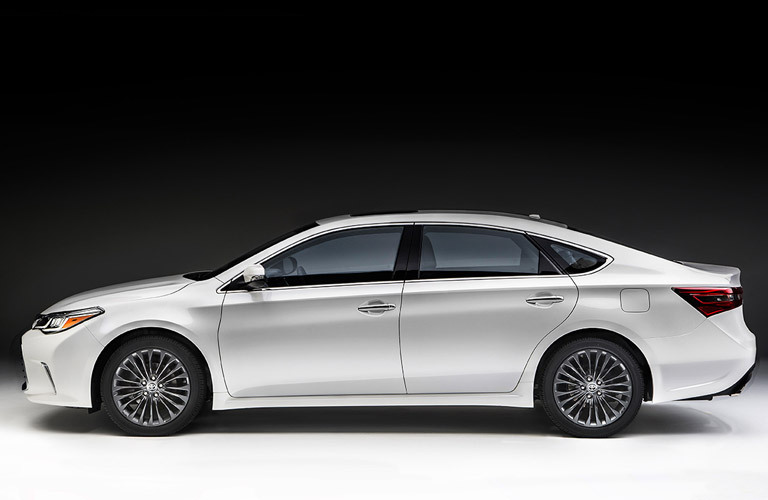 All told, the 2016 Toyota Avalon looks like a luxury sedan but only costs you mid-size sedan prices. 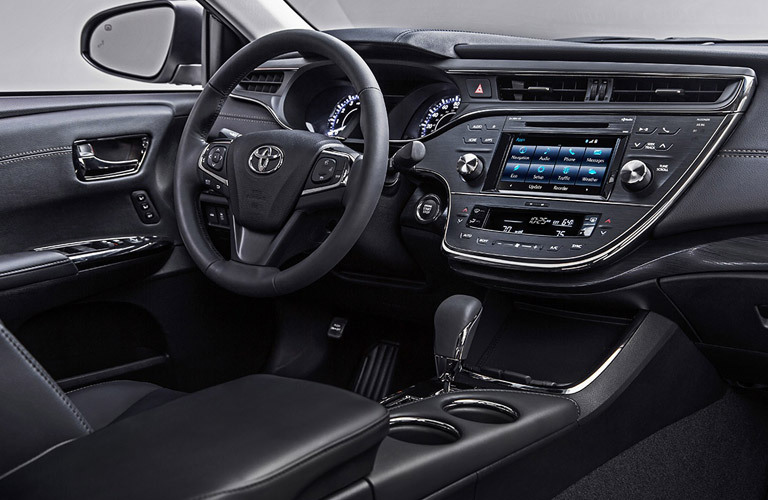 Some of the improvements Toyota has made for the 2016 Avalon model include adding a Tire Pressure Monitoring System to optimize fuel economy and new color choices with wild names like Ooh La La Rouge Mica, Sizzling Crimson Mica and Parisian Night Pearl. Just saying the names makes you feel like a high roller at the Moulin Rouge in the early part of the 20th century. As far as the 2016 Toyota Avalon’s performance, it comes standard with a 3.5-liter V6 engine that pumps out 268 horsepower and 248 lb.-ft. of torque, which helps you accelerate faster, make lane changes more easily, and gets you gliding into optimal driving speed while on highway on-ramps, all with minimal effort. While you enjoy the calm power the engine kicks out as you are driving, you also will enjoy the immersion that the Entune Audio Plus sound system offers in base Avalon models with eight speakers, voice recognition and HD weather and traffic radio. The available Entune Premium JBL Audio with Navigation system is even more impressive, with a next-level 11 speakers and GreenEdge tech that reduces the power drawn from the car’s stereo system. Attrell Toyota is located at 110 Canam Crescent, Brampton, Ontario, L7A 1A9, and we have Avalons as well as other models like the Corolla, the Camry, or the Rav4 in stock. We serve the greater Mississauga and Toronto area as well. Please contact us at 905-451-7235 or come visit us today to see our cars or to take one for a test drive.